If you reading this it means you have not yet registered. 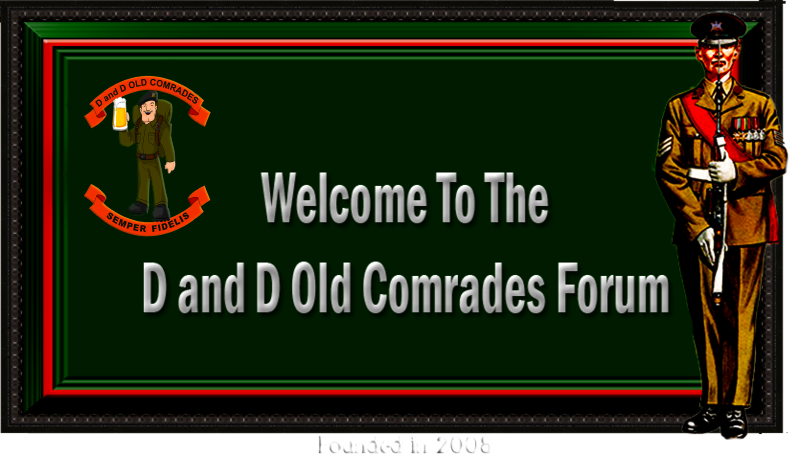 Please take a second to Click the register button and in a few simple steps, you will be able to enjoy all the many features of our D&D Old Comrades Site has to offer. Please note that nicknames are not allowed but can be placed in brackets when registering. Once you have registered with your full name I will activate you so you can start enjoying the meeting up with old buddies.